Key West is such a fun place to visit. Great weather, great vibe, great drinks and, as I learned last month, great food. My husband and I were in Key West, Florida last month for a friend's wedding and for a little school's-out-for-summer vacation. We've been to Key West before, and loved the laid back attitude and island quirks. On previous trips, we scouted out the best places to drink (which is a lot of what you do in Key West), but somehow didn't spend much time visiting the island's great eateries. This time, we found some great restaurants to soak up all of the mojitos. Our favorite places included Pepe's, Blue Heaven (which we liked so much we visited twice for breakfast), El Siboney (best Cuban sandwich ever), and a little stand at Mallory Square selling amazing conch fritters. 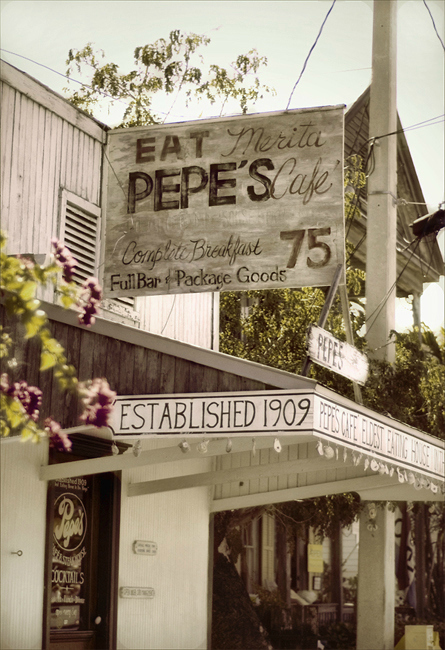 At Pepe's, we stopped in for breakfast, and I had the most amazing coconut bread with my omelette. It was so good, I had to look for the recipe when we got home. Turns out the people at Pepe's were nice enough to put the recipe on their website. I guess a lot of people must have asked for it - it's really that good! Photo via hiddentraveltreasures.com. I forgot to take a picture! 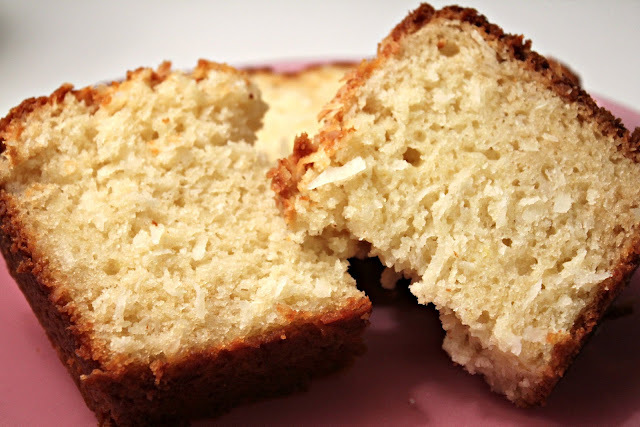 The recipe is much like that of a simple quick bread, but called for butter, sour cream, and coconut extract. 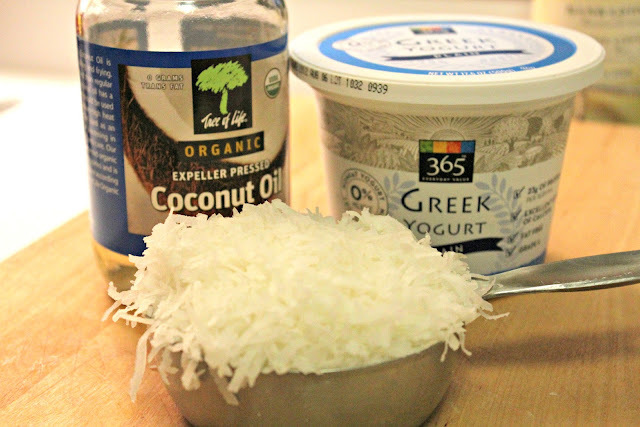 I decided to use coconut oil in place of the butter, and substituted Greek yogurt for the sour cream. I also substituted vanilla extract for the coconut extract called for in the recipe, because I didn't have any on hand. 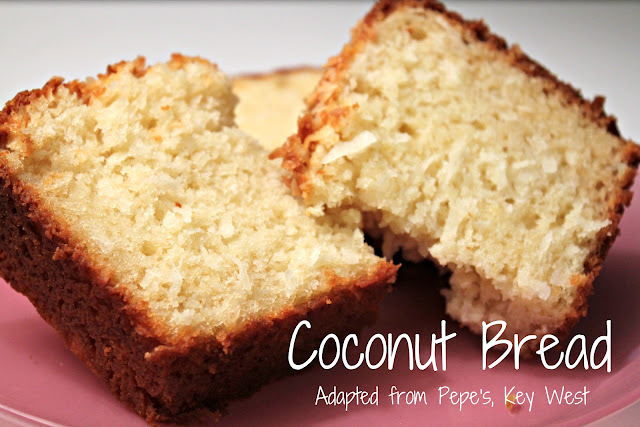 The coconut oil gives the bread a nice, subtle coconut flavor. As you can see from the above photo, I used a bit more than the 1 cup of shredded coconut called for in the recipe. I like coconut. Add as much as you like. 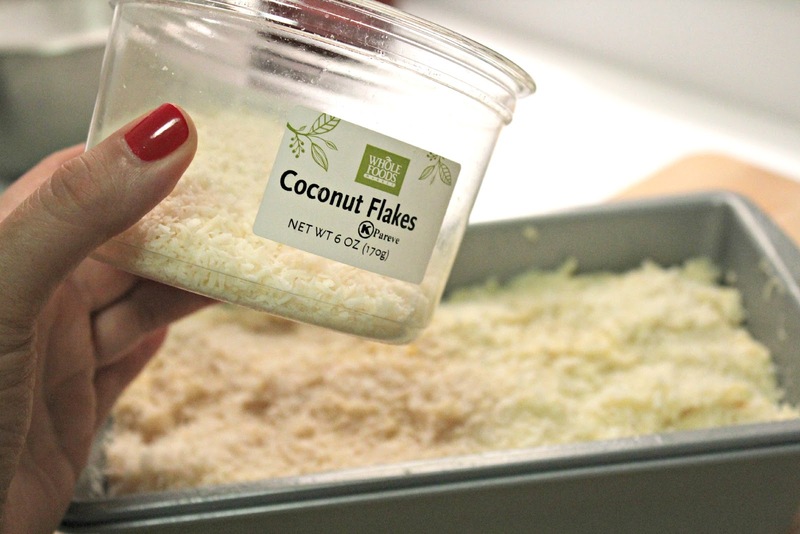 I had unsweetened coconut flakes in my cupboard, so I decided to sprinkle some on top of the bread before baking. It made for a nice appearance and texture on top of the loaf. The coconut oil and Greek yogurt make the bread nice and moist. It's hard to just eat one piece! Cream together coconut oil and sugar. Beat in eggs and extract, then the Greek yogurt. Fold in the flour, baking powder and soda. Do not overmix. Turn into lightly greased loaf pan and bake at 350 degrees for about 45-50 minutes or until done.